The stream running adjacent to the camp allows us to collect and store natural shower and sink water. We ensure that our guests are provided safe drinking water, bottled in Rurrenabaque. We compost organic waste on-site to fertilize our jungle garden. Here we grow native fruits and vegetables such as papaya, peppers and onions. We collect inorganic waste and carry it back to Rurrenabaque, where the plastic bottles are recycled. 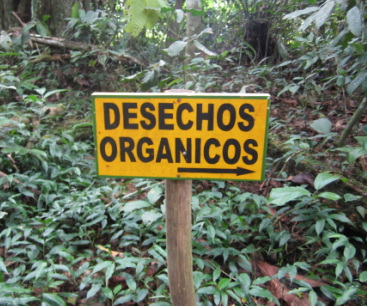 The Berraco EcoCamp is equipped with multiple composting stations.